Manufacturer & Exporter of Stainless Steel 410 Round Bars & UNS S41000 Round Rods, SS 410 Bright Bars, Steel 410 Rods, 410 Hexagonal Bar Suppliers in India. We Neon Alloys are engaged in manufacturing and exporting superior-quality Stainless Steel 410 Round Bar. Offered SS 410 round bar is manufactured by our skilled workforce utilizing well-tested steel and contemporary techniques. Offered SS 410 bars & rods is available in various sizes, shapes, dimensions and finishes. All our items can resist high pressure and temperature applications and require less maintenance. They are broadly acclaimed for its corrosion resistant and durability. These products are available in different thickness, dimensions and lengths. In addition to this, the expert team members meet the specific demands of our clients timely. 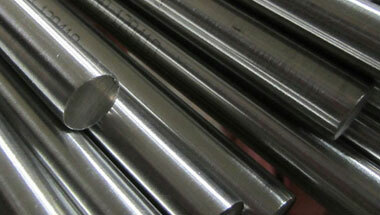 We are a trusted name involved in exporting a wide array of SS 410 Round Bars. Stainless Steel 410 Round Rods Manufacturer, SS 410 Forged Bar, Steel 410 Hex Bar, Stainless 410 Hollow Bar, UNS S41000 Black Bars Supplier in India. Kazakhstan, Morocco, Indonesia, Kuwait, London, Iran, Russia, Australia, Uganda, Colombia, Dubai, Germany, Tunisia, Algeria, Ghana, Nigeria, Malaysia, Peru, Thailand (Bangkok), Sudan, United States, Iraq, Cameroon, Israel, Egypt, Bahrain, South Africa, Jordan, Turkey, Mozambique, Vietnam, Houston, Brazil, Africa, Chine, UK, Ethiopa, Trinidad and Tobago, Canada, New Zealand, Sri Lanka, Venezuela, Mexico, UAE, Saudi Arabia, Democratic Republic of the Congo, Azerbaijan, Argentina, Italy, Angola. Zaria, Khartoum, Istanbul, New York, Benin, Fez, Data from the UN, Kaduna, Accra, Luanda, Mecca, Addis Ababa, Sharm el-Sheikh, Lagos, Ouagadougou, Bulawayo, Bamako, Kolwezi, Cairo, Brazzaville, Alexandria, Subra al-Haymah, Rabat, Tel Aviv, Omdurman, Maiduguri, Bethlehem, Kampala, Tehran, Dammam, Kano, Colombo, Tripoli, Cape Town, Douala, Cairo, Beirut, Dar es Salaam, Durban, Ibadan, Abidjan, Harare, Giza, Casablanca, Lubumbashi, Port Harcourt, Hong Kong, Abu Dhabi, Singapore, Doha, Dubai, Mogadishu, Aqaba, Freetown, Algiers, Yaoundé, Johannesburg, Manama, Jerusalem, Riyadh, Byblos, Jeddah, Nairobi, Soweto, Conakry, Pretoria, Mbuji-Mayi, Port Elizabeth, Dakar, Amman, Muscat, Kinshasa, Antananarivo, Maputo, Lusaka.